2018: 35th Anniversary: Bigger and Better Than Ever! With a reputation as one of the scariest haunted houses in Colorado, the Frightmare Compound is suitable for those who aren't afraid to get spooked! Some children love the experience, but there are some adults who run screaming from our haunt! 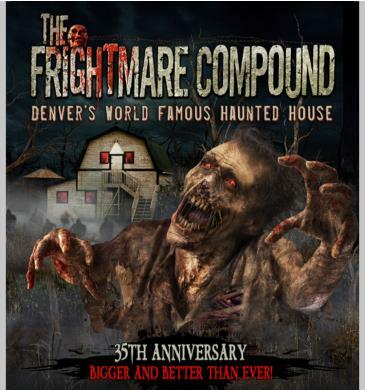 Once you have purchased a ticket to the scariest haunted house in Denver, it cannot be returned or refunded. 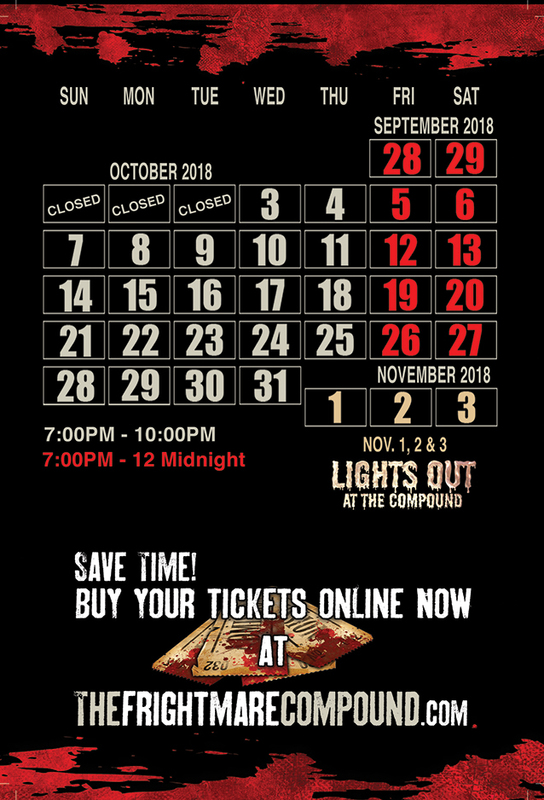 However, tickets are valid for the same days as purchased during our 2017 season, so you can always come back at another time.